As parents, it’s your duty to teach and nurture your children to be compassionate and to care about others. Before you can do that, it has to be a value that is instilled by the whole family. The best thing about compassion is that it can be taught and expressed in various ways that are easy to understand. Compassion is a wonderful trait that branches out to more good qualities such as generosity, love, sympathy, and kindness, which will all help them in many aspects of their lives. When learning this trait, your little ones will be g helpful, responsive to others’ needs. Raising compassionate children is not an easy task and is also not a small success. This is true especially today due to children’s egocentrism, together with the popular culture’s rampant messages of selfishness, indifference, and narcissism. Because of that, you will need additional tools to instil this trait in your little ones. As your little ones grow, you can start letting them know what compassion is all about. If you do this, they will understand its importance and why they need to instill this value in their personality. 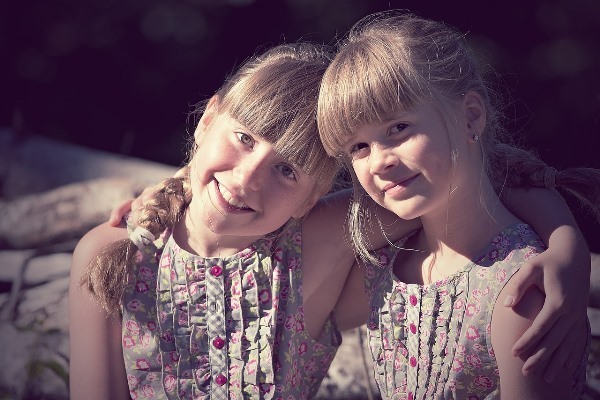 Aside from explaining, it’s also important to show them examples of compassion and what they can do to show compassion, such as being kind to their siblings and helping others. Your little ones may listen to what you say, but following your words will always depend on how they see you act. When you have a chance to show any act of compassion, do it. Even when you’re frustrated after an interpersonal interaction, don’t act carelessly; express what you feel, but always show respect for the dignity of the person you’ve interacted with. Lend a helping hand when you see someone who needs help. Remember that opportunities to show compassion just appear all of a sudden and when there’s a chance, do it. Show your little ones that there is no right time and place for being kind to others. Teach your little ones to respect their elders. Give them the chance to help and spend some time with the old folks who may be lonely. Let them know how the impact of this act of compassion would positively affect a lot of people. Aside from the experience, your children can also learn a lot of new things. When your children grow, they also start explore on their own and widen their social world and will meet people. Don’t forget to guide them when it comes to choosing their friends and the people they interact with; help them choose people who are kind, supportive, and compassionate. When your little ones spend time with like-minded people, it will be easier for them to instill compassion. The media today shows children a lot of bad examples such as violence and self-centeredness. With that, it’s difficult and almost impossible to filter everything they see. Instead of not allowing them to use gadgets to prevent their exposure to the media, use these tools to your advantage. Check out stories of compassion and share these with your little ones. Of course, it’s still best to let them use gadgets moderately. As mentioned earlier, instilling compassion and care in children is not easy especially when they are less influenced by their parents and start seeing the world from their own perspective. With our troubled world, it’s easy to feel and think that you can no longer make a difference which leads to compassion burnout. Keep in mind that this is one of the challenges you will be facing as a parent and that it’s best to start small. Of course, it’s always to pay close attention to your little ones. When they consistently show acts of compassion, let them know that they’ve done a good job. The best reward for doing this is to spend some quality time and to play outdoors with the Original Copter. This is the coolest toy in the market today and it will reach a maximum height of 200 feet. Each individually packed Originalcopter comes with its own exclusive Viper Launcher, a durable pair of folded wings, and a 7-inch red rubber band. Aside from the toy and its parts, you will also find an instruction card in its package so you can use the toy properly. When you launch the Original Copter from Whistlecopter, it will never flap in the air like the cheaper knockoffs that easily break. This is because the toy is made from high-quality materials that make it durable, safe, and non-toxic. Instead, the Original Copter will spin down to you after hovering in the air. Moreover, it’s an authentic toy from Whistlecopter. Vendor Catching the Original Copter In His Mouth ! !